Hi Miike and whoever might read. 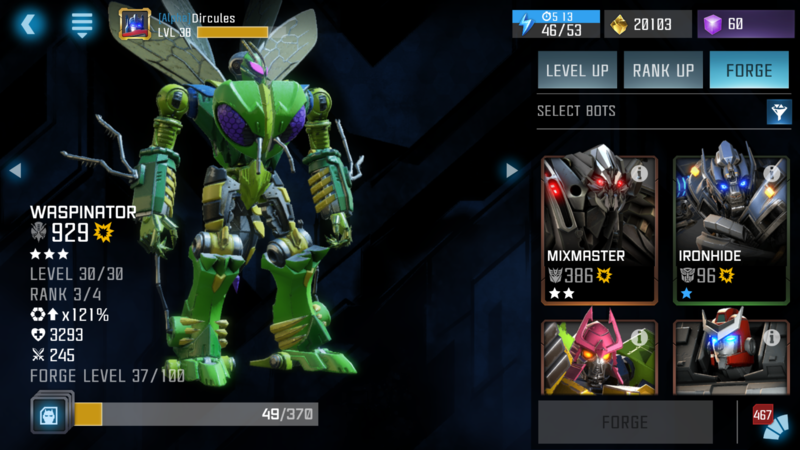 I submitted this issue through the game but was told to contact game team directly. 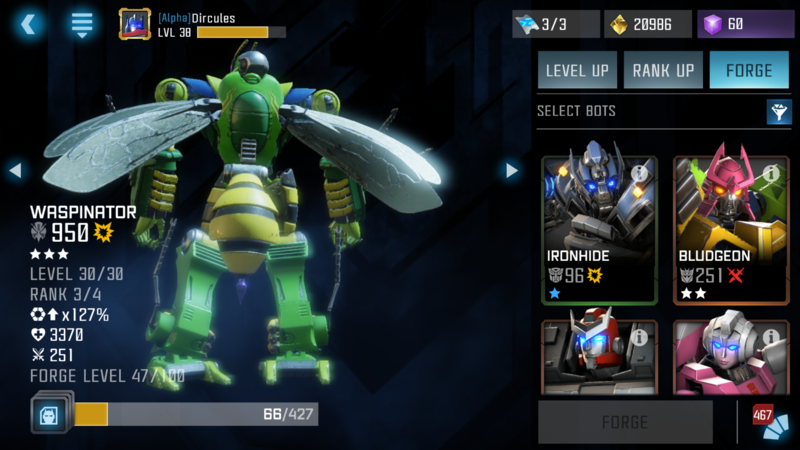 The issue is that forging a bot with significant signature ability levels give way more forge xp than is shown when you just select them which can lead to making very inefficient choices. 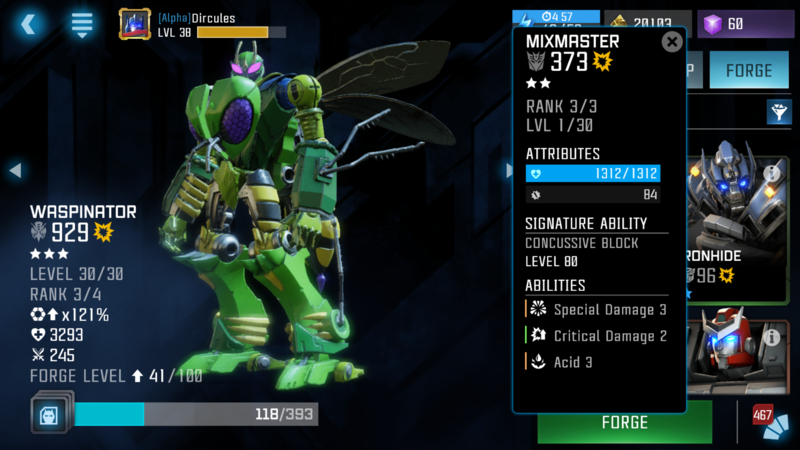 As an example I forged a 2* mixmaster with sig 80 into a 3* waspinator. 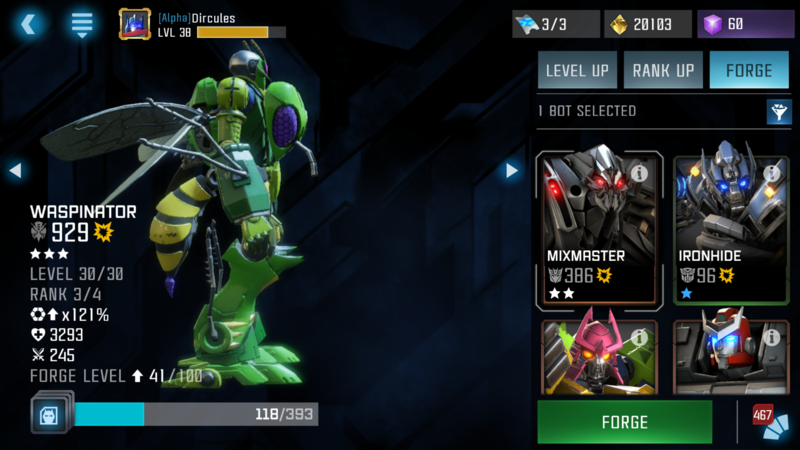 Getting 10 instead of 4 levels is probably like a factor 3 difference in xp given, that's quite a lot.